Michael Faraday's principle of induction is behind both electrical motors and electrical generators. In fact, just spinning the axle of an electric motor turns it into a simple electrical generator. 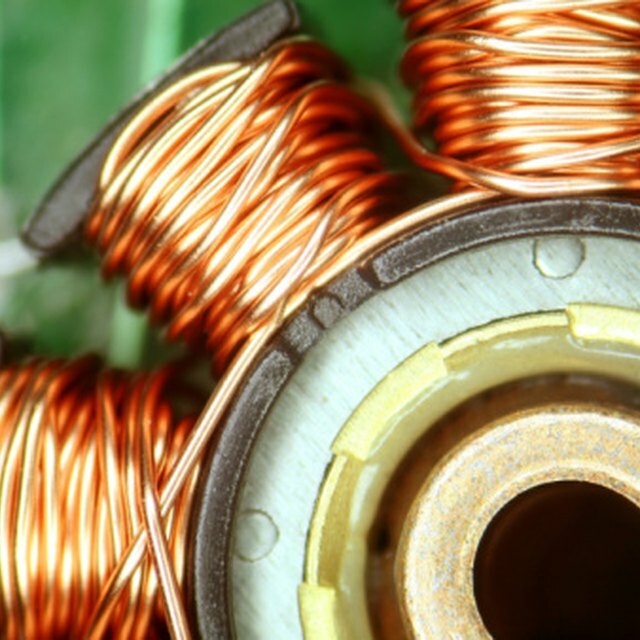 If you want to make your own, though, building a model electricity generator — or "dynamo" — requires little more than a powerful magnet and a spool of wire. Draw two circles 3-4 inches in diameter on the cardboard, and then cut them out using the hobby knife. Wrap half of the 60D nail in electrical tape. Start from the head and work towards the point. Poke a hole in the center of one of your cardboard circles with the nail and press it all the way down to the head of the nail. Do the same with the other cardboard circle, pressing it down to the edge of the electrical tape. Turn the glue gun on and allow it to warm up. Glue the two cardboard circles in place so that they don't move around. Apply glue sparingly where the circles meet the nail on the outside of the spool you've created — don't get any glue on the inside of the spool. Start winding the magnet wire around the nail between the two cardboard circles. Wrap the wire as tightly and closely together as possible. The exact number of turns around the nail doesn't matter, so stop when you only have 10 inches of wire left. Glue the wire in place so that it doesn't unspool when you let go. Trim the edges of the cardboard circles with the knife. Glue the center of the bar magnet to the axle of your crank. You need to be as precise as possible, so that it's stable when you turn the crank. 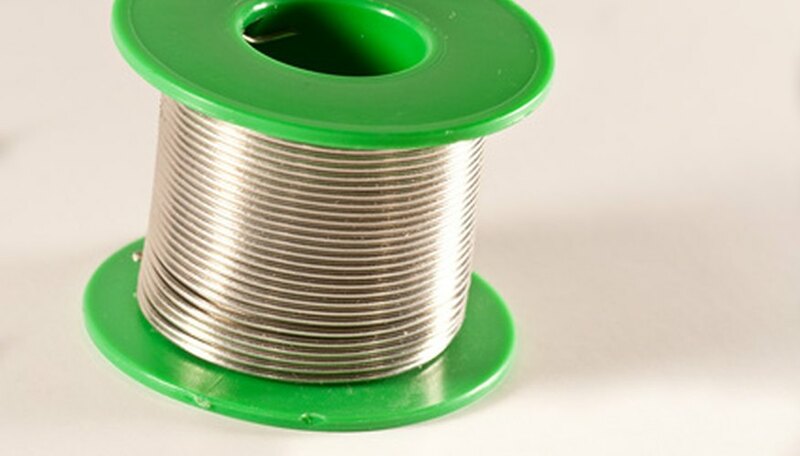 Glue the spool of wire to the mounting surface. Scrape the insulation from both ends of the wire using the hobby knife. Position the crank so that the magnet is as close to the spool as possible. The magnet should spin along the same axis as the nail. Glue the crank in place on the mounting surface. Turn on your voltmeter and, if necessary, switch it to measure direct current (DC) at the most sensitive setting. Wrap one free end of the spool of wire around the metal probe on the voltmeter's black cable. Wrap the other free end of the spool of wire around the metal probe on the voltmeter's red cable. Spin the crank to turn the magnet and generate electrical power. Check that the voltmeter registers that a current is being generated. If it doesn't, reverse the order that the wires are connected to the meter. Keep around 10 inches of wire free at both ends of the spool to make connecting the generator easier. If you don't have or don't want to use a nail, you can use a pencil as the core for the wire spool. If you don't have a crank, you can make a simple one out of metal or plastic construction toys. For simple demonstrations of electricity, just glue the magnet to the end of a pencil and spin it by hand. Because the current in this model electrical generator is not regulated, you should never use it to charge a battery or power an electronic device. Allen, Robert. "How to Build a Model Electricity Generator." Sciencing, https://sciencing.com/build-model-electricity-generator-7810843.html. 25 April 2017.